We all have one – a friend or family member who we just don’t know what to get for Christmas. In our experience, pretty much everyone loves a gift-set, full of a variety of treats there is bound to be something in there they’ll love. It’s also a great way for people to try out new products without splashing out on the full-sized versions. A high-end skin care brand, Philosophy have created a gift-set with all their bestsellers. The box includes bottles of microdelivery exfoliating wash and peel, and the brand’s classic ‘Hope in a Jar’ day and night moisturising creams. The beautiful box has a whole host of products to help you unwind and sleep. The box includes Marseille lavender soap, rich hand creams, bath salts and bath foam to help the receiver soak their troubles away. Men deserve some pampering gifts over Christmas too. 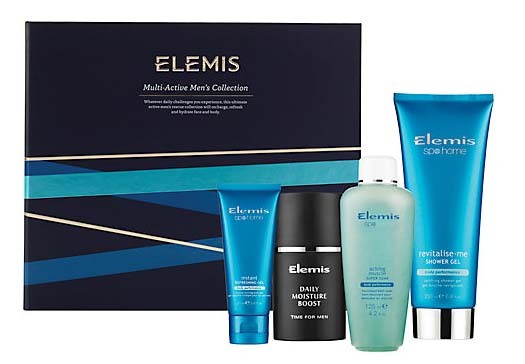 This box includes an aching muscle soak (perfect post-gym), a shower lotion, facial moisturiser and a refreshing gel. For those who love a relaxing soak in the tub, this gift could not be more apt. Containing the brand’s ‘Relax’ body wash and three essential oils for the bath/shower this gift will unwind both body and mind. If you have a slightly tighter budget, go for this hydrating gift-set. Complete with a body scrub and nourishing moisturiser, these products will leave skin silky smooth all winter. 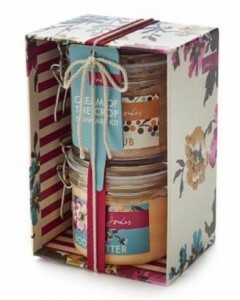 Do you have any tips for other beauty gifts? Let us know over on Facebook.